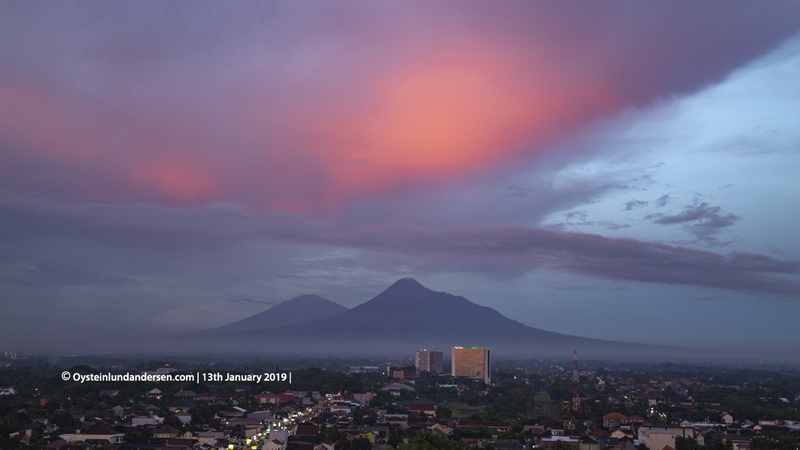 Arrived in Yogyakarta on the 12th January, and went on 3 field trips to the Southern side of the mountain to observe the volcano. 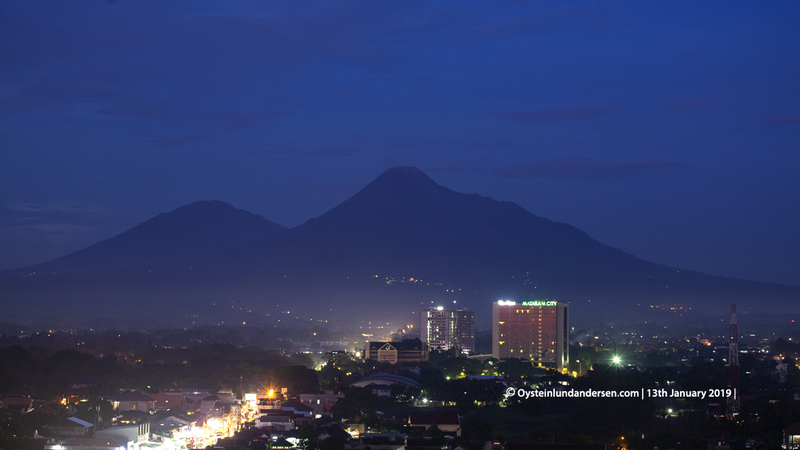 Photos taken from distances of 5-25km from the volcanoes summit. 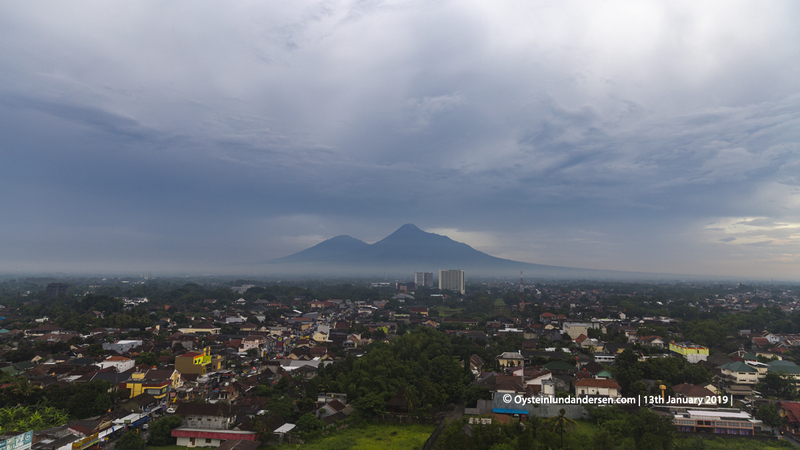 Merapi have been busy building a lava-dome the last months. 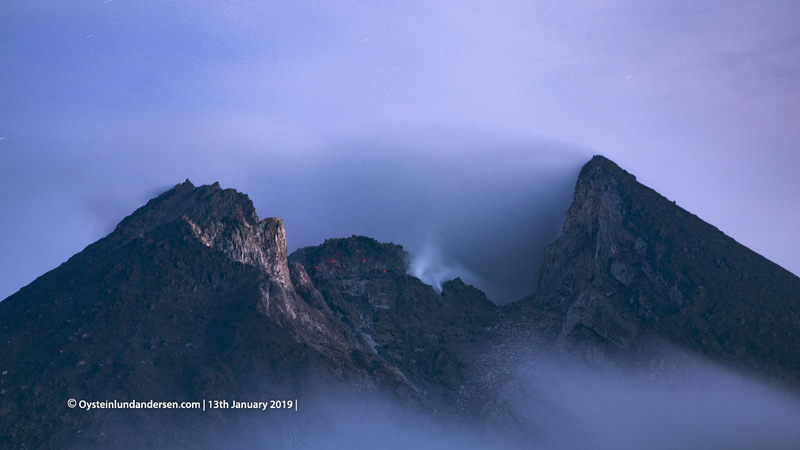 As of the 15th January, Indonesian Authorities (Center for Volcanology and Geological Hazard Mitigation`(PVMBG)) recorded the lava-dome to have a volume of 439.000m3, with a approximate growth rate of 3400m3 per day. 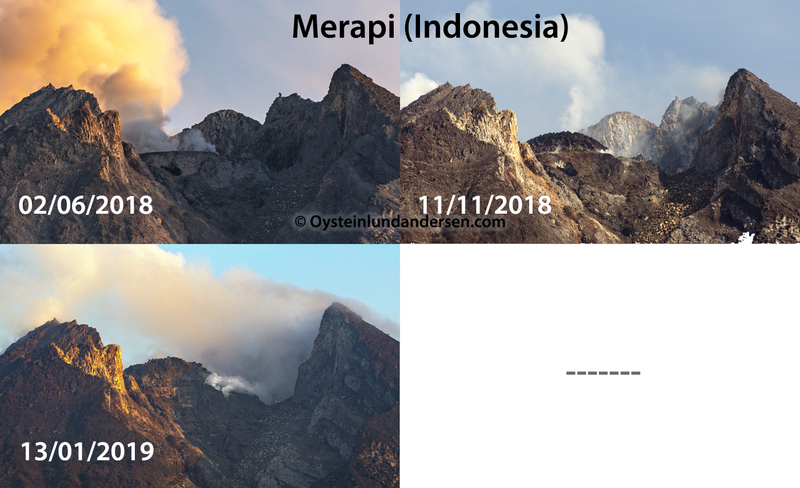 I have made two Image-comparison below showing the growth of the Lava-dome (see below). 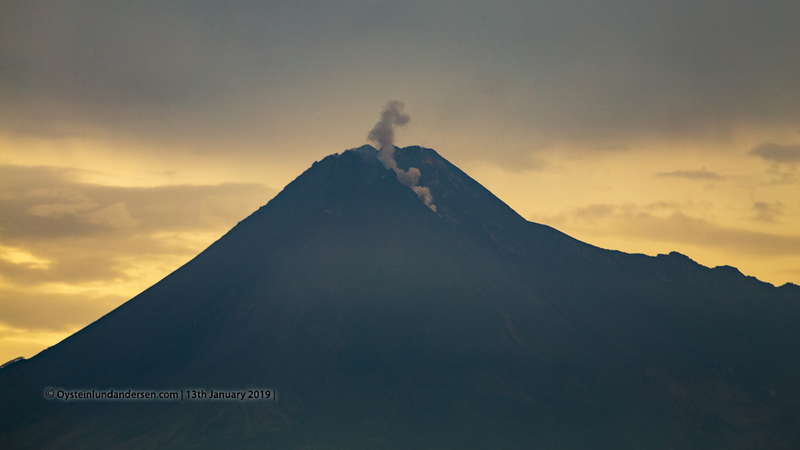 During my observation of Merapi, I observed several rockfall from the crater area. 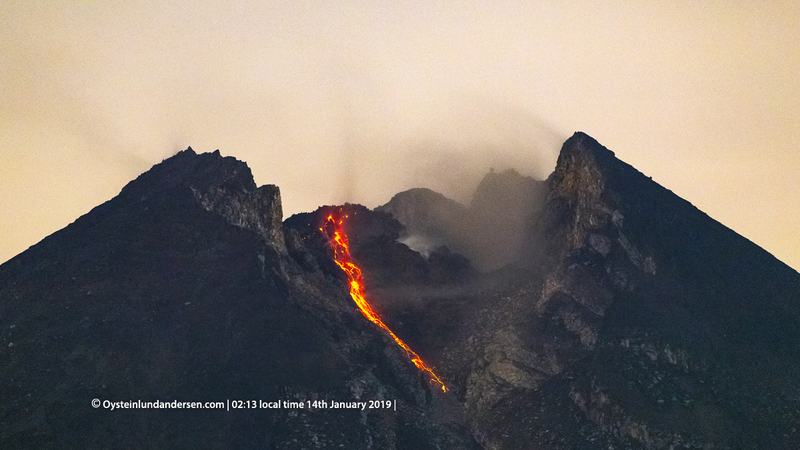 From a distance of 5km the sound of the rockfall could be clearly heard several times in the morning of the 14th January. 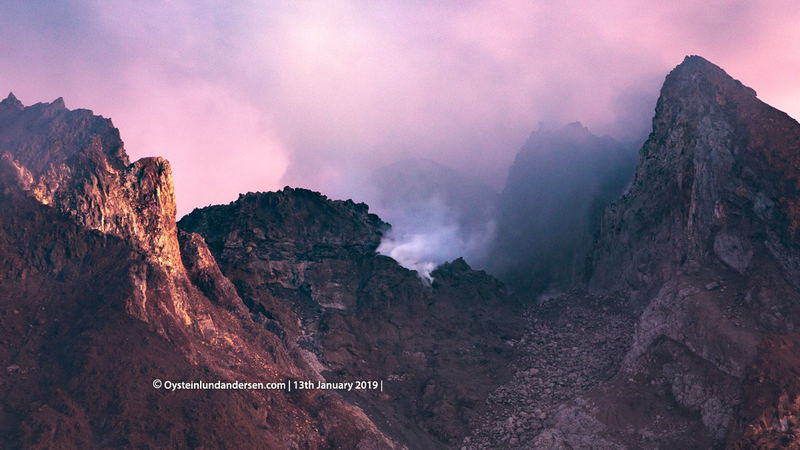 The observed rockfall only descended down maybe 500m from the crater area. 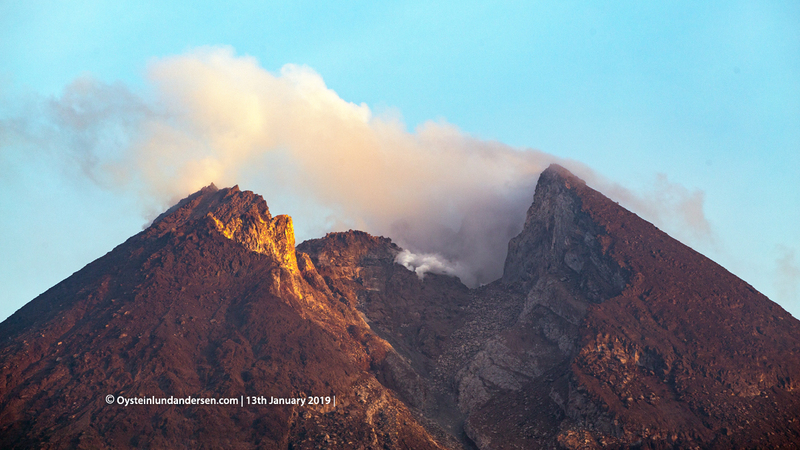 However Indonesian Authorities, have recent recorded a few rockfall events to have made it down more than 1km from the summit-crater area. 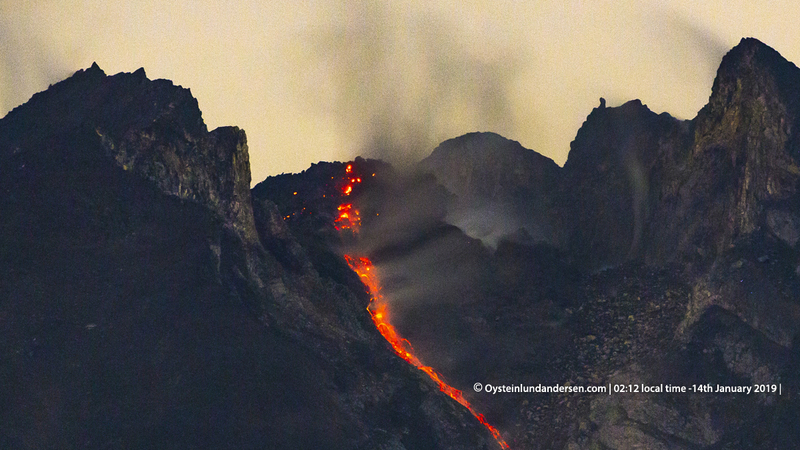 Incandescent was seen on the lava dome itself (see photos 1-2) during the night, and during the rockfall events (see photos 8, 13-14). 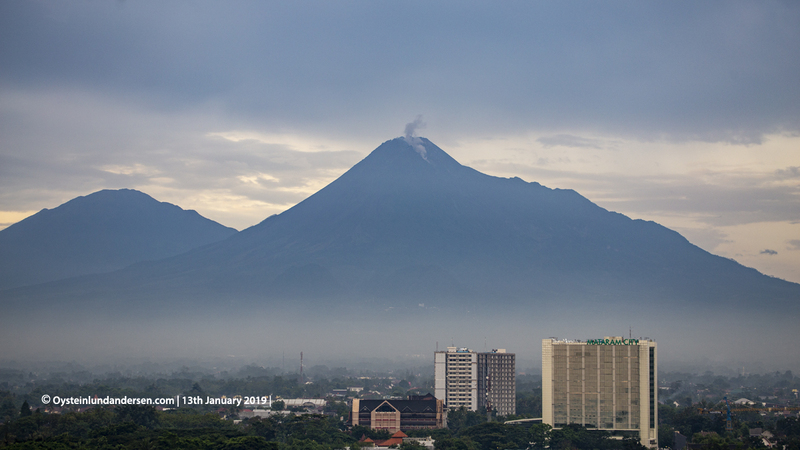 The restriction/danger zone for Merapi is as of 16th January at 3km from the summit-crater of Anak-Krakatau, recommended by the Indonesian `Center for Volcanology and Geology and the volcano is at Level 2. Total videos: – (Available in 4K). Photo 1. 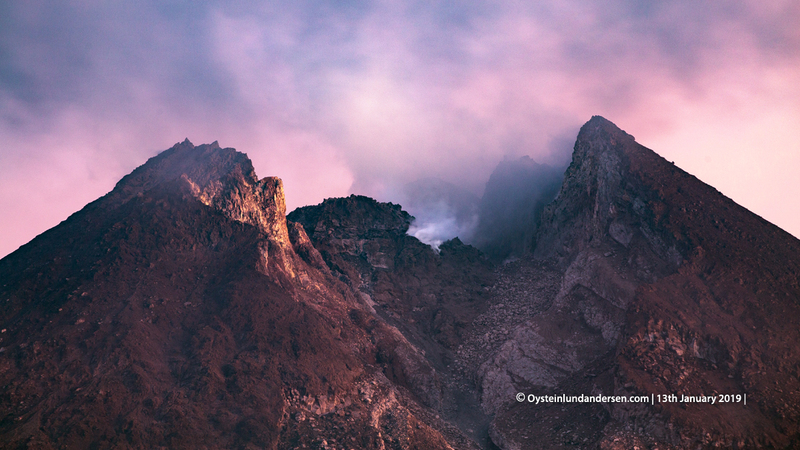 Incandescence from on the lava-dome. Photo 2. Incandescence from on the lava-dome. Photo 8. 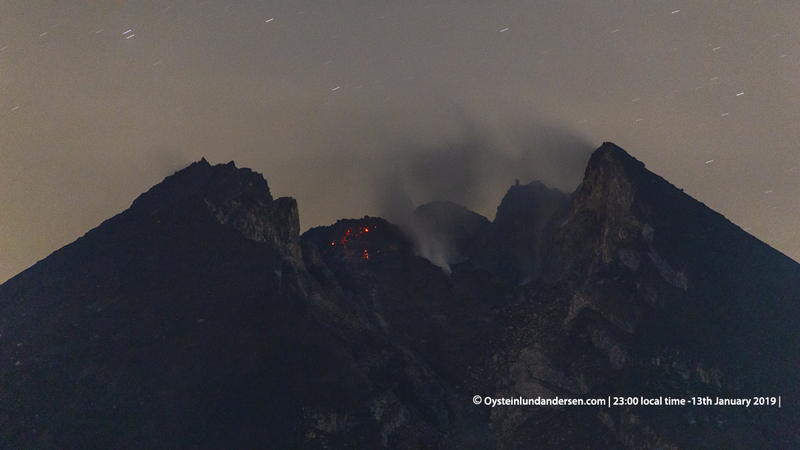 Rockfall from the lava-dome seen from 25km away. Photo 13. 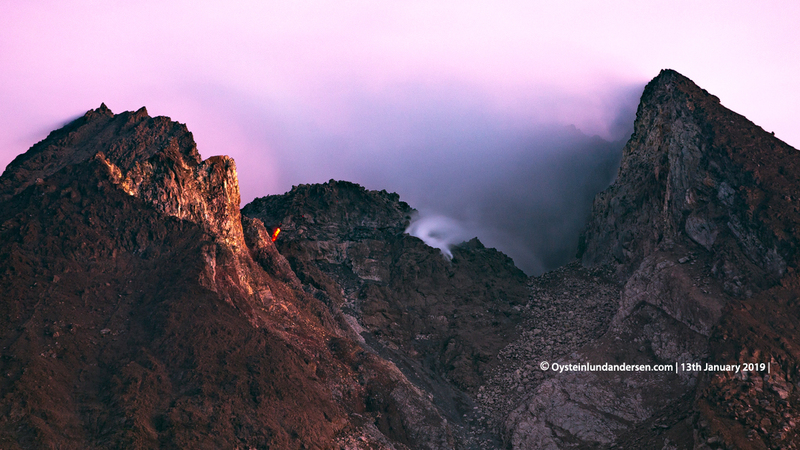 Rockfall and Incandescence from on the lava-dome. Photo 14. 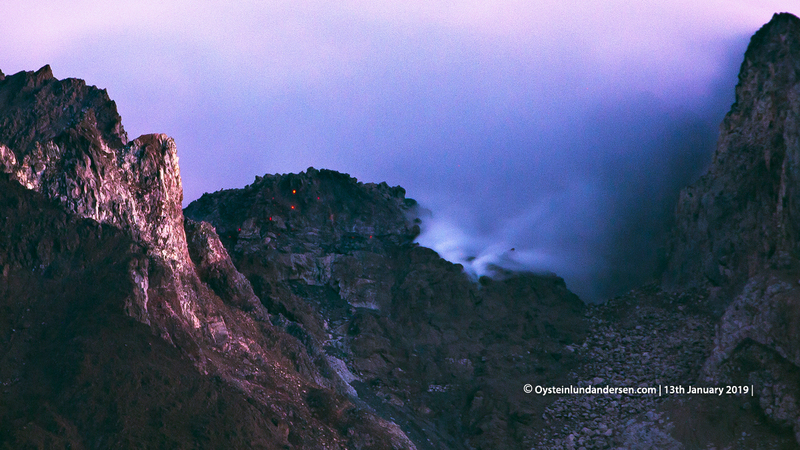 Close up rockfall and Incandescence from on the lava-dome.